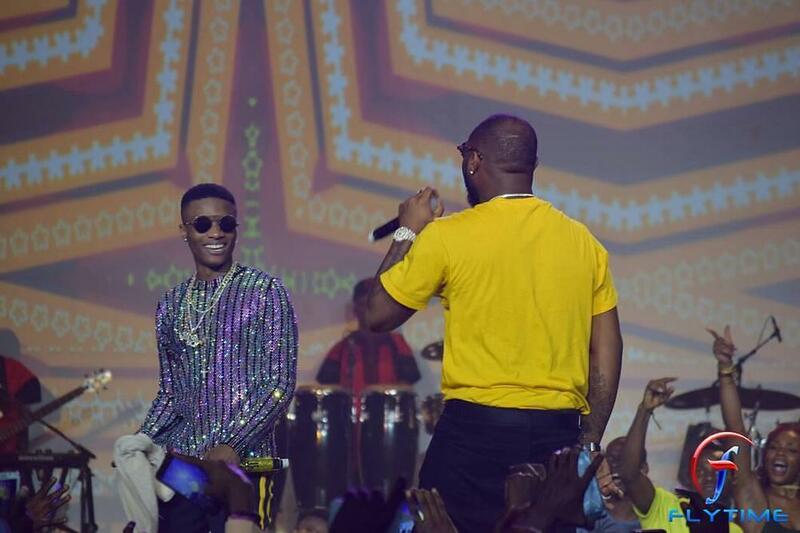 Davido joins Wizkid on stage for #WizkidTheConcert and TwitterNG reacts! Hello everybody! “Som’n just hap’n rye now“. Wizkid‘s concert at the Eko Convention Centre in Victoria Island had a pleasant surprise and we’re here for it! The singer was joined on stage by Davido who performed his latest hit song “FIA“. The two superstars have been believed to be at loggerheads all year and it sure feels great to see them share the same stage as they both performed the song together. This has caused quite the ripple on Twitter and a lot of reactions.